“Trogon”, named after the national bird of Cuba, is the new band led by trumpeter Nick Smart, is releasing their new album “Tower Casa” with the now legendary Brit Jazz “Babel” Label, on November 18th 2013. Whilst often thought of mostly as the Head of Jazz at London’s Royal Academy of Music, trumpeter Nick Smart also has an international reputation as a performer. He has played in New York alongside Dave Douglas and John Hollenbeck, and in the UK and Europe with the Kenny Wheeler Big Band and the James Taylor Quartet as well as countless others. He has led his own projects since 2005 and is also an acclaimed musical director for ensembles including Stan Sulzmann’s Neon Orchestra and Troyka’s “Troykestra”. For this eagerly anticipated new project – Nick Smart’s “Trogon” – he brings together some of the most engaging and innovative musicians on the current World-Jazz scenes. 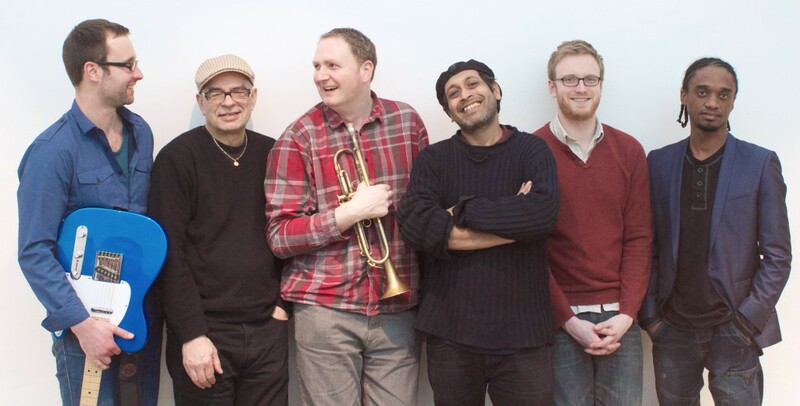 Trogon makes full use of the cultural breadth of London’s rich musical landscape; alongside outstanding ‘Troyka’ guitarist Chris Montague, and cutting edge drummer/composer Dave Hamblett, the group also includes London-Bangladeshi pianist Kishon Khan, Cuban bassist Denny ‘Jimmy’ Martinez, and long established London percussionist Pete Eckford. Firmly rooted in jazz, the groups exciting mix of musical backgrounds is enriched by the propulsive rhythmic traditions of Afro Cuban music and the rich harmonies of contemporary jazz. The album includes original compositions by Nick Smart and Kishon Khan and exciting new arrangements of pieces by Kenny Wheeler and Stan Sulzmann.